Paint Waste Disposal | Oily Rag Disposal | Aerosol Can Disposal | ADCO Services, Inc.
ADCO Services specializes in flammable liquid disposal and paint related waste disposal. Commonly generators of paint waste will come across other items requiring special disposal which usually are found in conjunction with any painting job; items such as: Acetone, Drywall and Sheetrock Compound, Joint Compound, Paint Thinners, brushes and rollers, as well as other hazardous items will need to be disposed of as a hazardous waste. 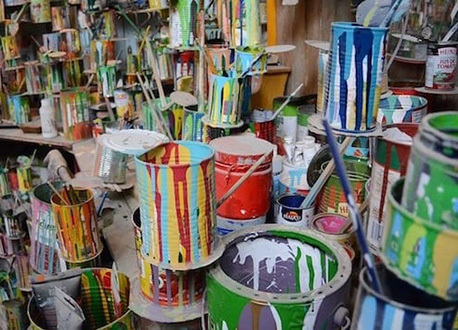 ADCO Services is able to help you properly dispose of paint related waste streams thereby keeping you in compliance with both state and federal laws. Our staff is fully trained in the proper disposal of paint related wastes and flammable liquids and is ready to assist you with your disposal needs. 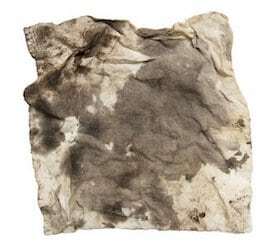 ADCO Services can offer you disposal of your soiled rags. Whether your rags were used in paint clean-up, grease clean up, oil clean-ups, or even used as applicators of varnishes and stains, ADCO is able to assist you in the disposal of these typically flammable waste streams usually referred to as flammable rags which is considered a flammable solid waste. We can also assist you with the packaging, proper shipping, and disposal of your oily rags. Call today to find out about our great reduced rates we can offer your business allowing you to stay in compliance with your state and the federal agencies–all while saving you money! 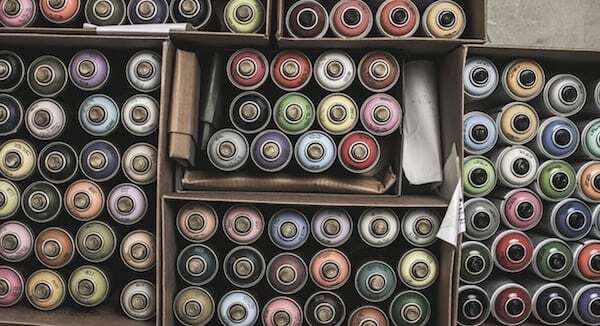 Spray paint cans and other Aerosol cans are able to be disposed of with ADCO Services. ADCO specializes in the transportation and disposal of Aerosol cans which commonly are considered flammable and typically considered a U.S.D.O.T. Hazard Class 2.1. Let ADCO profile your Aerosol waste into a licensed hazardous waste processing facility where your Aerosol cans will be properly disposed of. ADCO will prepare your paperwork in accordance with The United States Department of Transportation and your Aerosol waste will be transported on a fully permitted truck. If you have any questions regarding our flammable liquid waste disposal services or if you would like to discuss your waste disposal needs with an expert, please contact us at 877-254-2326 or 708-429-1660 today. Flammable liquid disposal, Paint Waste Disposal, and Disposal of Oily Rags including Stain Covered Rags are services offered by ADCO. We specialize in spray paint can disposal, Acetone disposal, MEK (Methyl Ethyl Ketone) Disposal, Oil Based Paint Disposal, & Stain Covered / Oil Soaked Rag Disposal.